The day I became a Realtor was the day I found my calling. In 1996, after running a successful animal transportation and grooming business, I decided to change course and get my real estate license. My mother had become ill with breast cancer, and I needed a career with the free time and earnings to care for her. Besides the personal freedom my new career provided, I discovered that I was good at selling homes. In the first year of my real estate career, I was named Rookie of the Year, and thereafter became a top producer annually. When I meet new clients for the first time, I want to find out about them-what motivates them, how they think, and what make them tick. I underst and that buying a house for most people is about finding a new place to dwell, to raise a family, to feel safe, and to be inspired. 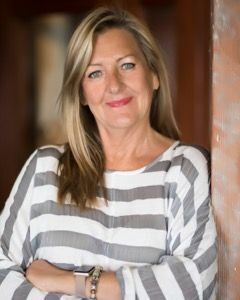 Navigating the world of real estate can be intimidating, so I’m here to educate and empower my clients. While knowledge of the market is important, success as a realtor also comes from understanding people and their needs. For me, it’s about compassion, a willingness to listen, and the desire to help. I truly enjoy making a positive difference in the lives of others. I’m fascinated by the way people live and the mood of a home. One of my favorite things about my job is finding a home that fits a potential buyer. Through my extensive network of contractors, stellar assistants, and interior design background, I’ve helped clients create a space that is truly theirs, aesthetically and practically. 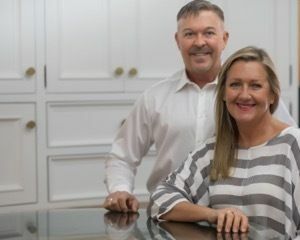 Being a Realtor also gives me the opportunity to work from time to time with my husband Michael, a tremendously talented master craftsman, and the founder of Borrelli Design+Cabinetry. I’m not just in the business of helping people find houses; I help them find homes.